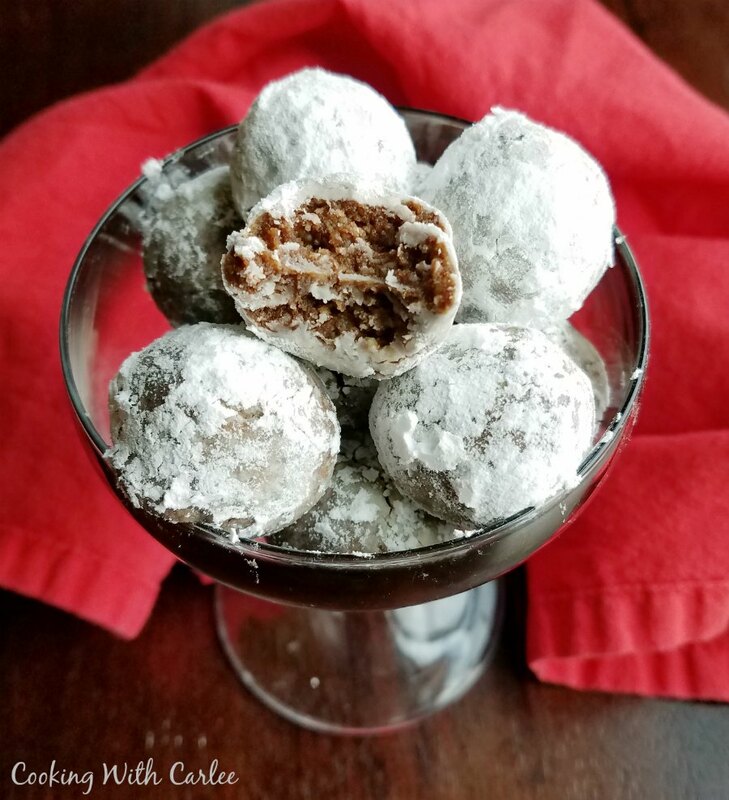 A flavorful adult treat perfect for the holidays, these no-bake rum balls are quick to make and even better when made ahead. They'll warm you from the inside out! Sometimes a quick and simple treat is in order. Luckily these rum balls are just that thing. They are best when made a few days in advance, but they require very little work and no time in the oven. So they are perfect when the holiday baking season is in full swing and the cookie trays are filling up faster than the oven can cook them. 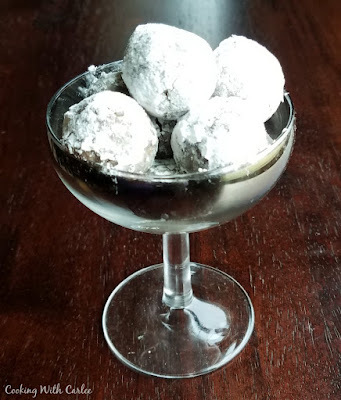 Rum balls are one of my husband's favorite treats. We were introduced to them when my previous boss's wife served them to us at a Christmas party. She made them in three strengths. She had the lightweight strength for people like me. They were delicious made with coffee or orange liqueur and and had just enough kick to make you feel like a grown up. 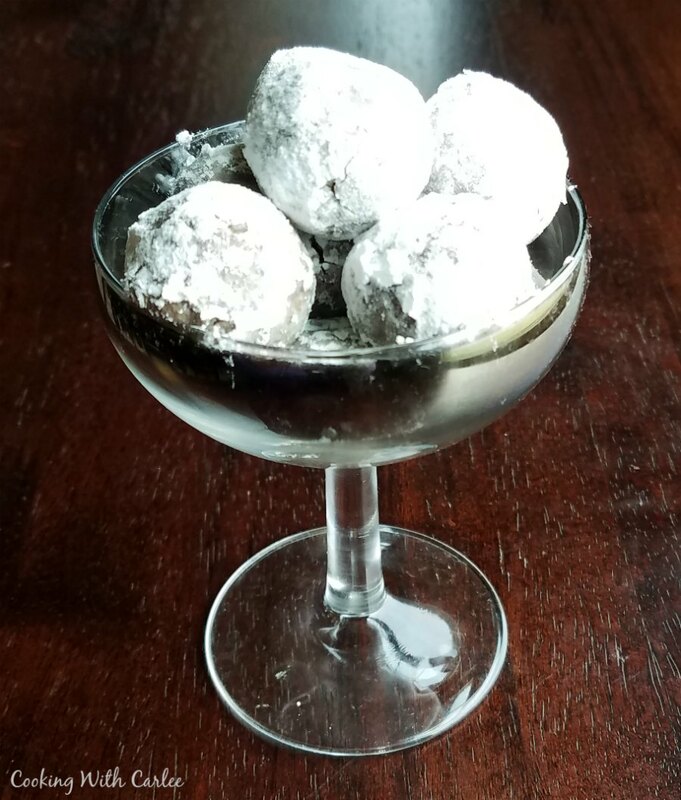 The mid-strength rum balls were your traditional rum ball. They had that balance of sweet and booze and were made with light rum. They are also great made with bourbon. There is enough of a boozy flavor to know they are for adults, but not too much. Then there were my husband's favorites. The 151 rum balls. Though in all honesty you'd have to eat quite a few to actually get drunk, the alcohol content is high enough to give you a little tingle on your lips and tongue. That is the part my husband likes most! She made hers extra fancy. Some had liqueur soaked dried fruit in the middle. Others had truffle centers. They were all chilled and then dipped and decorated. They really were magnificent. But with a baking schedule like mine made all the more complicated with a full time job, blog to keep moving and a full slate of holiday activities, I had to make them a bit simpler this year. So I skipped the centers and went for a simpler roll in powdered sugar. I've never quite made them to her superb standards on my own. Though I have made the dipped version and shared them as a Valentine's Hunk of Burning Rum Balls. 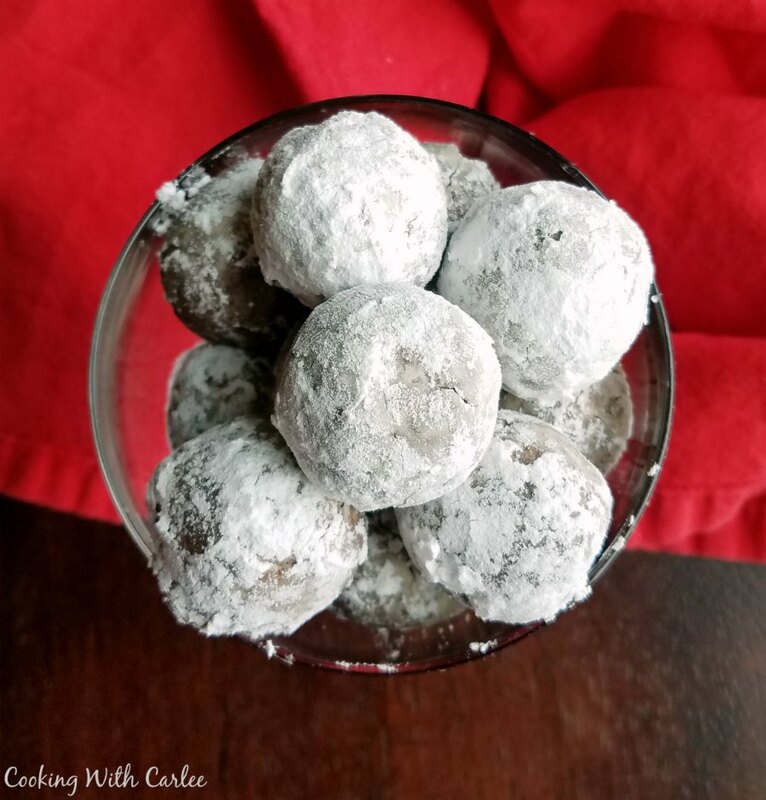 They are always a hit with my husband and our friends when I make them, But the thought of dipping one more thing after dipping pretzels, peanut butter crackers, oreo balls and the like was a bit maddening. So I decided to go for the snowball look and roll them in powdered sugar. You know what? They were still a treat! 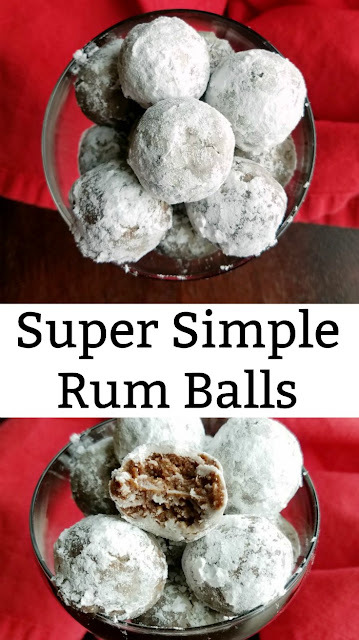 Have you ever made rum balls? What is your favorite spirit to use? Place the vanilla wafers in your food processor and pulse until they are crumbs. Add the almond flour, rum, cocoa powder and corn syrup. Pulse until combined. Take about a tablespoon of the mixture and form it into a ball between your hands. Roll in powdered sugar and place in an airtight container. They are best after they have been allowed to sit for a couple of days. Store in an airtight container on the counter for up to a couple of weeks. *use whatever spirit you like best. Coffee, orange or berry liqueurs are all tasty in them. Some people prefer bourbon or a light rum, my husband prefers the super strong flammable rums! Well butter my rum! These look like the best little balls to throw together! I may add these to the cookie plate! Have a festive week my beautiful friend! They are so quick to make and my husband goes crazy over them! Thanks! I have never made any truffles with liqueur before.. Just a dash of baileys...But these look so yummy and easy.. I would love to make these for that boozy kick! They definitely give a little kick. It's fun to have a treat for the adults too! My grandma made these in the sixties and seventies. All of us kids were allowed to eat them. No one ever got drunk from a rum ball or two! I mke hwr recipe still today.